Queen Anne's Lace (Daucus carota L.) forms seed cases that resemble, to me, stylized hot air balloons on which butterflies may take a rest. 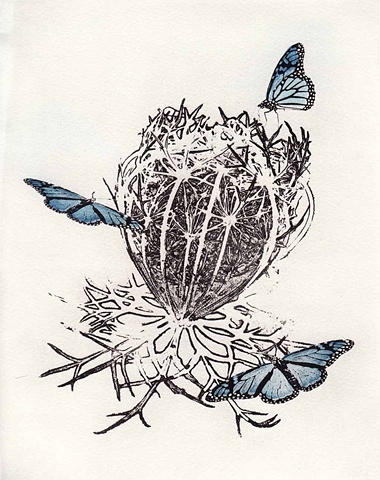 This print is one of several in which I varied the color of the butterflies and their placement. Two-plate solar plate print. Edition (with variations) of 8.